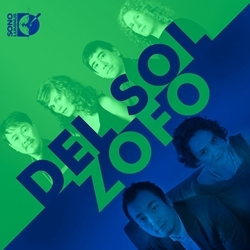 Only a download away, Sono Luminus’ first Digital Only EP showcases us with the GRAMMY® nominated ZOFO duet. This split EP features three World Premiere recordings and is ready on demand. The EP starts with a combined piece by composer Kui Dong, blending the two ensembles with an exciting mix of piano-four-hands, string quartet and two toy pianos. Then, we round out the album with pieces by Mason Bates and Joe Duddell.